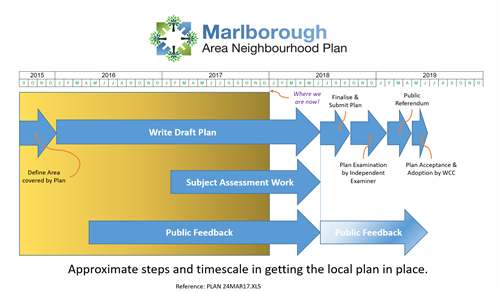 This picture broadly illustrates the steps we have to take in getting our Neighbourhood Plan in place. This will be updated on a regular basis so you can see where we are on this journey. Note - This is a pessimistic timescale! In reality the team will be working hard to get things done earlier. If you want to download a copy of this click here.